At Portland Architecture Brian Libby interviewed Kengo Kuma, the Japanese architect behind the Japanese Garden Expansion. The acclaimed architecture shared his thoughts on thoughts on Portland, the role of Japanese Gardens in urban settings and the material choices made for his new buildings in Portland. The first building in the Conway Masterplan opened this week. New Seasons are the anchor tenant at the Slabtown Marketplace on Conway Block 296. An adjacent apartment building on the same block, the LL Hawkins, will open later in the year. The Portland City Council voted to make changes to the property tax exemption system designed to entice developers to build affordable housing. The annual cap will be lifted from $1 million to $3 million, and the competitive application system will be scrapped. The changes are intended to create up to 200 affordable units a year. Separately, the Portland Housing Advisory Commission recommended that Portland should increase the share of urban renewal money used for affordable housing from 30% to 50%. As news broke that local chainlet Little Big Burger had been sold to Chanticleer Holdings, it was announced that the burger company will open a location at Hassalo on Eighth in late 2015. Hop Dog, the latest restauartant concept from former Little Big Burger owners Katie Poppe and Micah Camden, has opened in the 12|Stark building downtown. The Alameda retail development Lyon Court has secured its first tenant. The as yet unnamed wine bar will be operated by J. Mikey Lynch. According to the Hollywood Star News, neighbors in NE Portland have created a petition to keep the Regal Lloyd Cinemas 10. 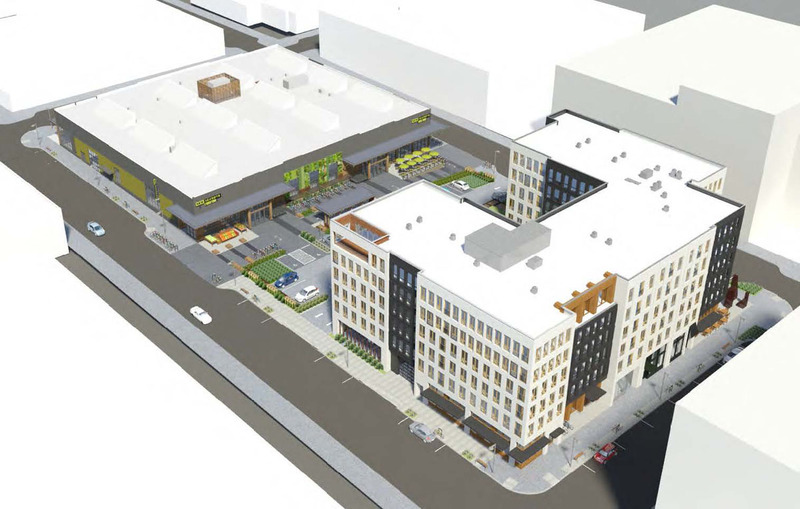 The buildings are set to be replaced by the 1510 NE Multnomah development. Flying Fish company has launched a Kickstarter campaign to fund an oyster bar and new retail location at The Shore on NE Sandy Blvd. The Portland Chronicle reported on a planned 18 unit building at 6205 N Minnesota. The development will replace a vacant single family home. The Oregonian continued their series on the rapidly changing Central Eastside. 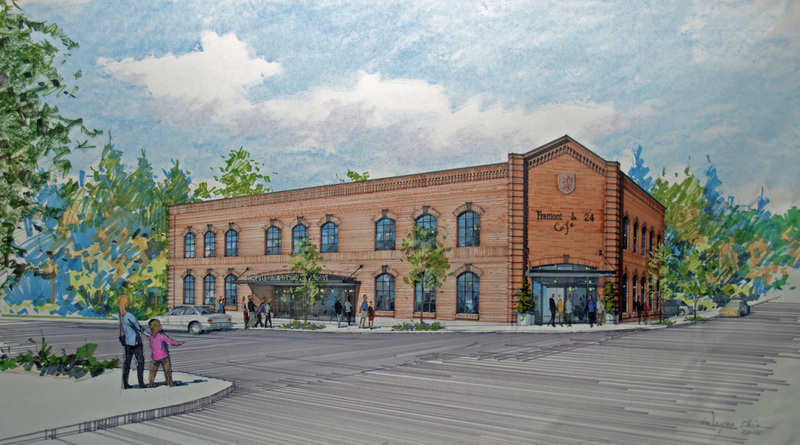 One article looked at Ancient Heritage Dairy, which will soon open in the 626 SE Main building. Another focused on The Redd, the planned food and agriculture incubator project by the Ecotrust. Construction has started on Milwaukie Way, a retail project designed by Ben Waechter, adjacent to a former funeral home in Westmoreland. The DJC published construction photos of the Hotel Eastlund, which is set to open in May. Cup and Bar, a joint cafe and roastery by Trailhead Coffee and Ranger Chocolate, was set to open this week in the newly renovated 107 NE Grand building. The Portland Business Journal published photos of the under construction Lyon Court retail building at NE Fremont and 24th. In ‘Simplifying the Curve’ the DJC wrote about the technical challenges in realizing the curved facades at One North. Lyon Court is currently under construction in the Alameda neighborhood. The single story retail building will offer 7,565 sq ft of space, split between 5,675 sq ft on the first floor and 1,890 sq ft on a mezzanine. Lyon Court can be occupied by a single tenant, or divided down into two, three or four tenant spaces. The design is by Mildren Design Group.